I was a boy; I´d loved bikes and everything that sounds like. I started trial with on an old Cota 123. Very heavy and it didn’t make fun to see the others riding the modern bikes with brake discs and so on. Fortunately a colleague of our Trial club had a TR34 of 87 for sale. I remember that I paid 4500. - DM for it. It was amazing to ride and I couldn´t sleep the next few weeks. I rode the bike almost 2 years, and then I had to go to the German armed forces. At this time I had no interest to restore a bike or something like that and stopped with trial riding. 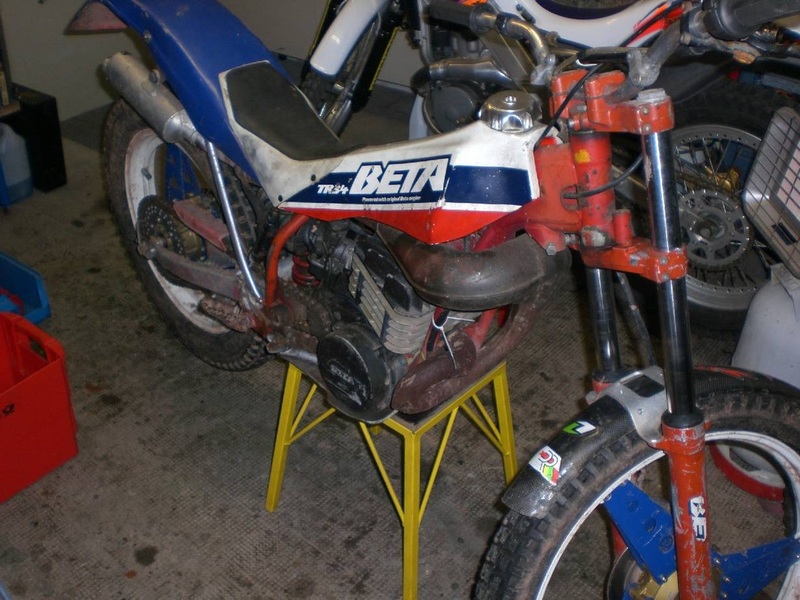 But I always thought about the Beta Tr34 which I had sold in 1992. 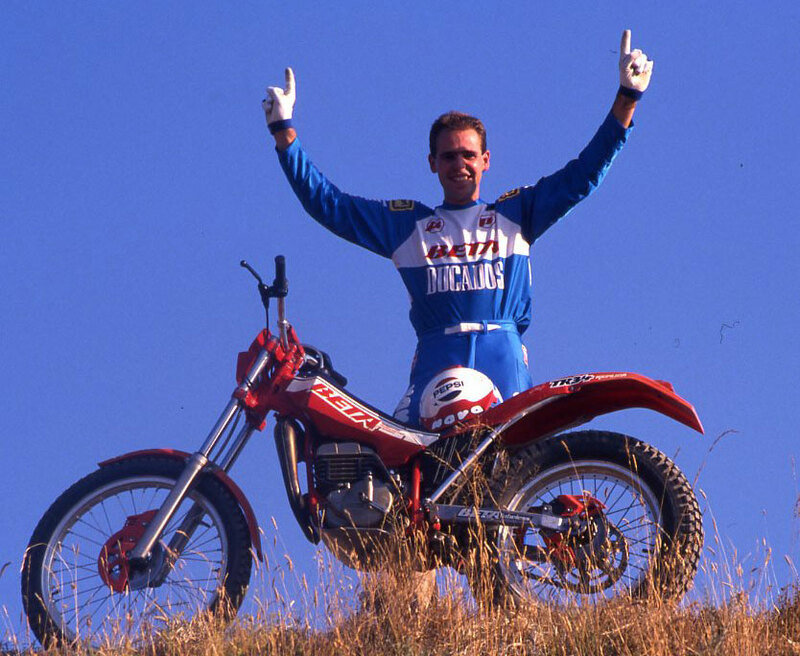 Later in 2001 I started with trial again and was equally fascinated of trial bikes as in those days. I realized that I do not want only ride, but also built replicas of factory bikes. Through my career structure I learned everything about bikes and later I worked seven years in a car body shop, where I also learned to paint. Now I was able to do all by myself, and could start different projects. 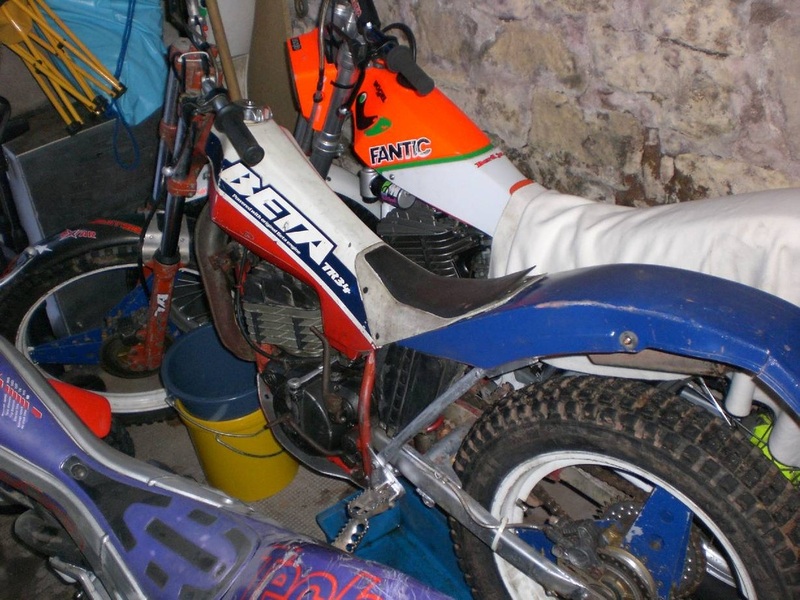 I still thought about to make Tarres TR34 of ´87 if I could get a bike for restoring, but I didn´t really look for. 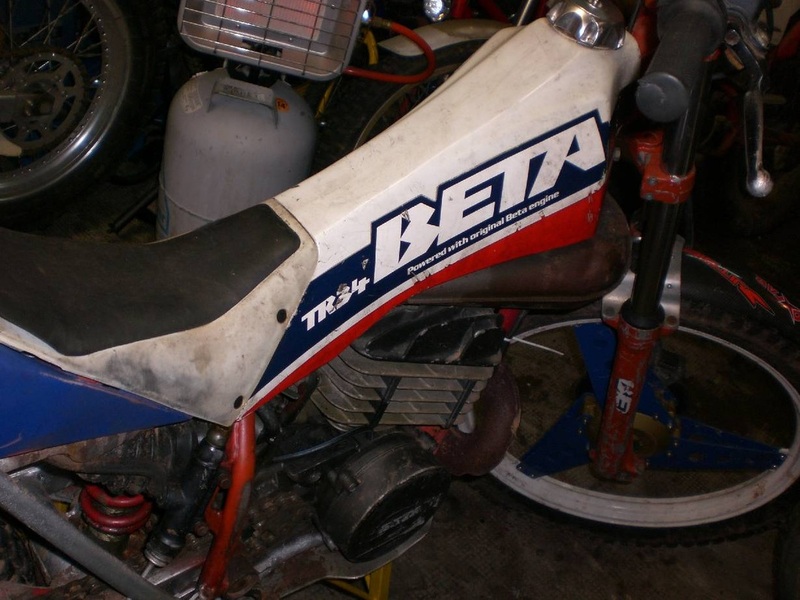 Also I was very fascinated of the Beta Zero, because as I was riding my TR34, a friend of mine got a new zero of 1990. It looked very brilliant with the high rear fender, aluminum frame and the water cooling system. So I also felt in love with the Zero down to the present day. 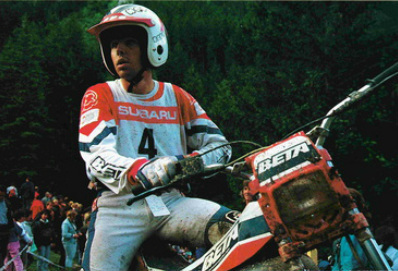 I did a lot of Montesa Replicas 314 Colomer, 315 Lampkin, 4RT Fujigas, also a ´91 Zero. But how ever I had to sell them again and was angry about it after a few weeks. One day I got the idea to write a story about young timer trial bikes, and bring it out in the German Trial Magazine. 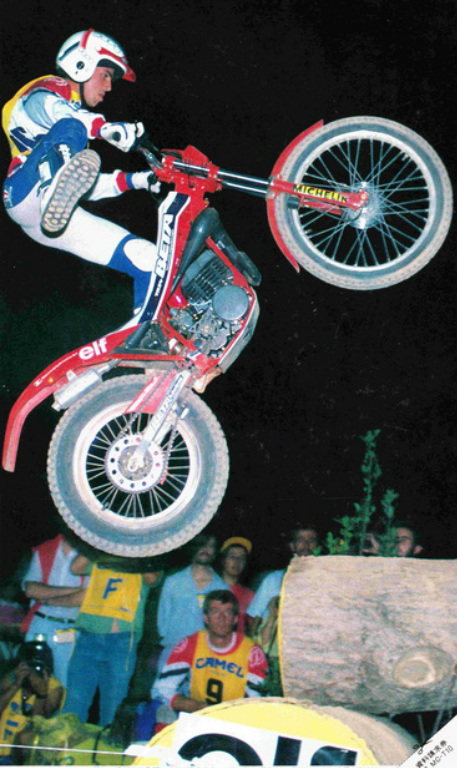 I wrote about the great time of the ´90th modern Trial and about the bikes at this time like TR34, Fantic 307, Zero, Fantic K-Roo and so on. I had to make photos of all the bikes I wrote about. I made the photos together with my friend Hans who is the editor of the Trial Magazine. We decided to meet on a very cold winter Saturday to get the photo story finished, as Hans told me he would bring along three bikes to put them in a row together with my bike collection. So we had almost twelve bikes to show in the magazine out of the great time of trial. As Hans arrived and he opened the trailer, I couldn´t hardly believe one´s eyes. 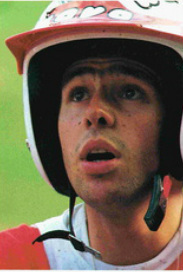 He came along with a Honda TLM, Gas Gas ´89, TY 250 and a very rough TR 34 of 1987. He got the Yamaha together with the TR34 from a man who was living in Hamburg. The guy told him that he needs space for his new car, and there were two bikes he could get for free. As Hand arrived, he saw the two bikes standing in the garden, chained up on an old trailer. The bikes were standing outside in the rain for more than one year. So no wonder that the bikes were in that bad condition. Despite of all that I was happy twice, because I was given it as a present. From then on I decided to restore it and make a nice Tarres Replika out of it. 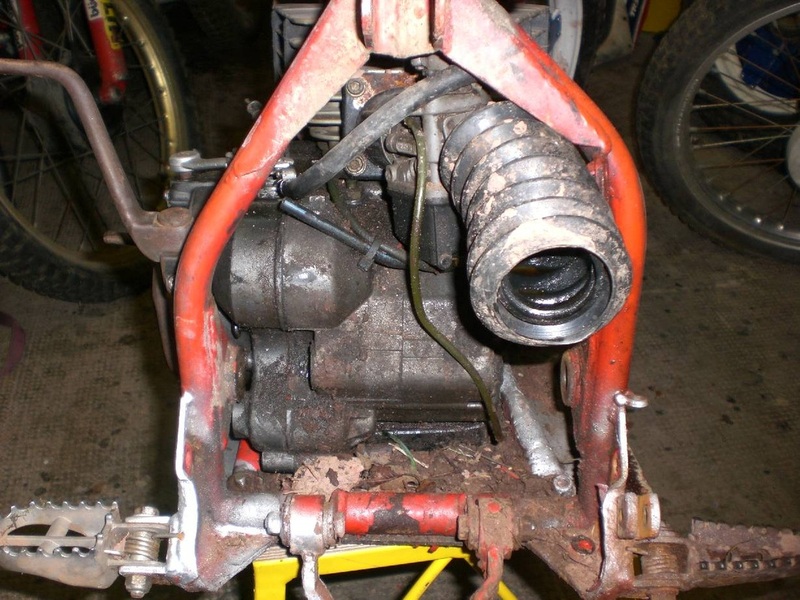 The bike was still running, but how? It sounded like an old watering pot, but I was happy the ignition was ok. I started to disassemble the bike after the photo session and the bike seamed letting me know what happened to it through the years. A hobbyist did some modifications which made me shaking my head. 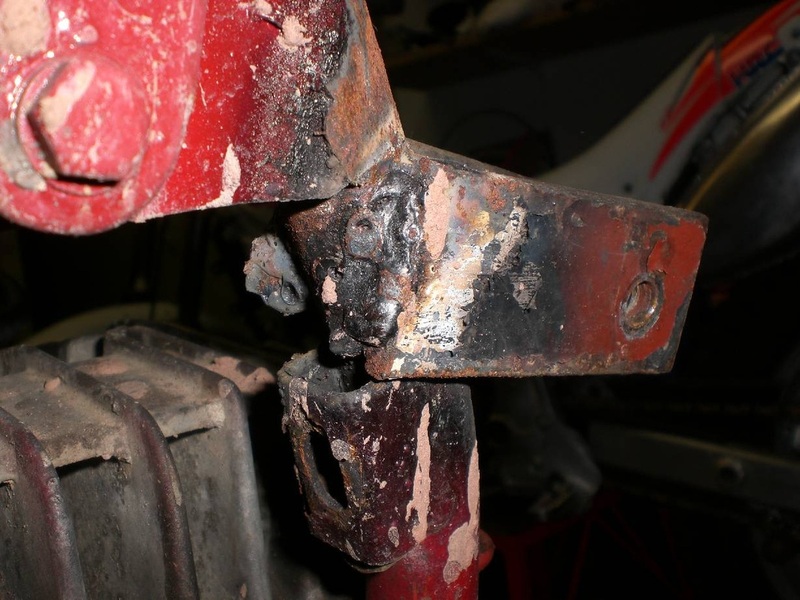 On one picture you can see a bracket which was more glued as welded. It should have functioned to mount a side car, but it would have been fallen off after the first few meters. Oh my God. Jordi must not see this photo. He will weep. The Merlin rims didn´t really fit and he used everything he found as spacers to get the rims in the bike. 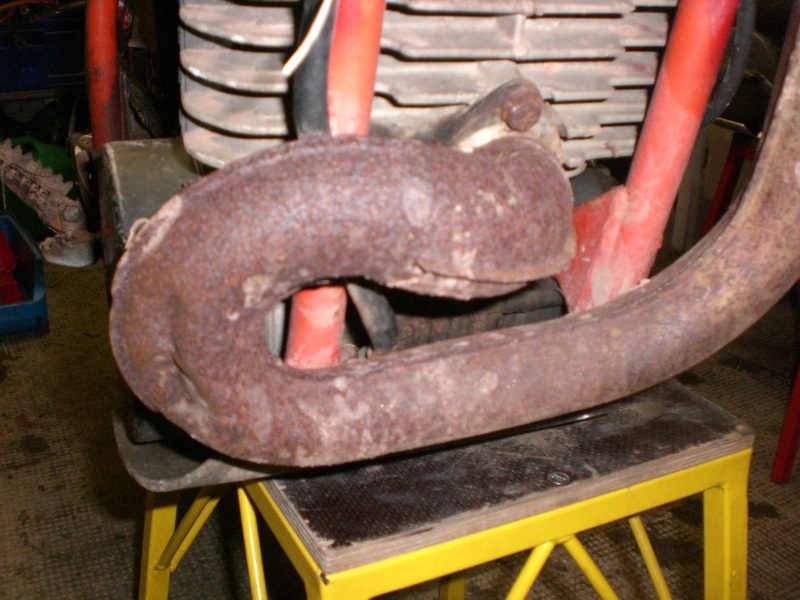 Even an old baring was used to get the rear rim in the right position. The rear brake disc was too big, so he cut it like when a child eats a cracker. Bit by bit, to keep it more or less in round shape. Unbelievable. 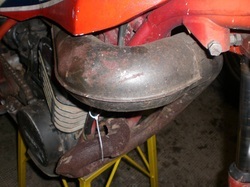 The air box was connected with the carburetor by an old cracked fork protection tube of a BMW 75/5. 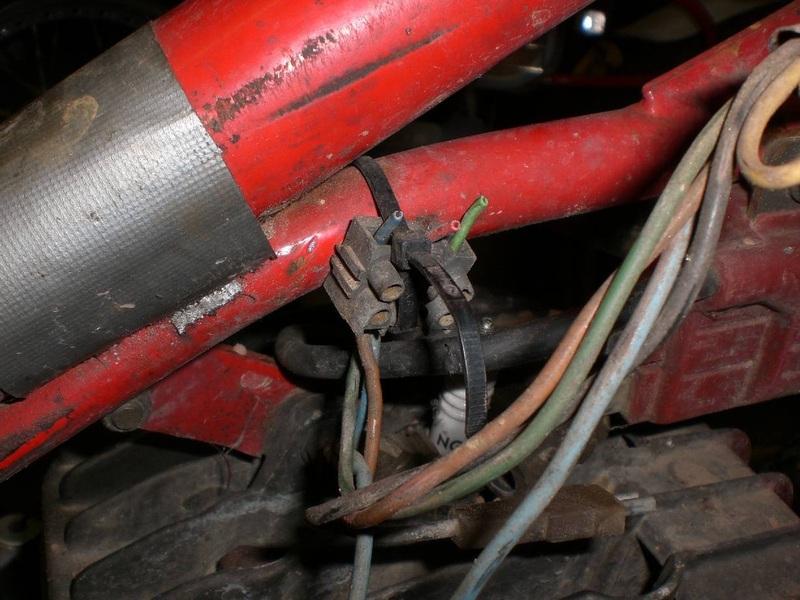 A good way to get dirt in the engine. Anyway, the bike was almost complete, and I started to sand blast the frame before powder coating. I don´t know why, but on of a sudden I stopped to go any further with the project and I left all the parts in boxes together with the finished frame in the garage for three and a half years. I didn´t have any motivation to go one and I so cared about different other projects that had to be done.